Continuing on in the list of top fantasy receivers in the NFL; Andre Johnson looks to be staying put for now, despite a growing list of interesting landing spots making themselves available. This is what happens to great players at the end of their career when they don’t win a ring. They get angry. Despite the elder aspect, It really says something about how much disarray the Texans’ franchise is in when a quiet leader among men like Johnson wants to get out. Phenomenal upside and a one-of-a kind press beating ability make Dobson one to watch at all times. If it weren’t for his foot injury, Dobson probably would have been over 750 yards receiving in 2013. Cue ‘14, post-surgery; New England will be going to utilize more exotic sets (mainly three). Dobson should find plenty of targets, regardless of how much talent is on the receiving corps and how spread out the Pats want to be. When you factor in how easy of a WR schedule the Patriots have, Dobson will be a solid WR4. 2014 Prediction: 51 Rec. 746 Yds. 6 TDs. New Offensive coordinator Ben McAdoo will bring a new scheme to Eli Manning and the Giants’ receiving corps this year. It couldn’t have come any sooner for the talented Randle, who found himself in the middle of a choose-your-own route adventure with former OC Kevin Gilbride. Reuben’s 6’3 frame will serve as a redzone target amongst incoming rookie Odell Beckham and Victor Cruz (Both 6’ and under). Could be huge, but last year’s route gaffes would make any fantasy owner cringe. Amendola is not Wes Welker and he’s missed 24 games in three years. The Pats’ use of wider sets should keep him in targets, but his productivity is always in question when you consider the constant health crises surrounding him. Always a talent, Danny could take some targets away from Gronk and Edelman while aiming for a career year and building chemistry with Tom Brady (barring injury). After seven years of being a role player in Green Bay, James Jones will become the unquestioned WR1 in Oakland. Being thirty years old and overcoming an injury riddled season in 2013, Jones, at the least will bring plenty of experience to a young WR corps. Never going over 1000 yards in his career, his redzone prowess (prior to ‘13) caught many teams’ eyes and could have landed James a bigger contract had he stayed healthy last season. Draft Jones as a WR3 and understand that we don’t know which Matt Schaub we’ll see this year. 2014: 62 Rec. 815 Yds. 7 TDs. Being drafted 28th was a bit of a slide for the 6’5 240 lb. mega target. Bejamin’s size, leaping abilities and reach will quickly make him Cam Newton’s favorite target. The critics see his unpolished routes as a drawback, which is commonplace among young big-bodied wideouts. Fantasy wise, Benjamin could not have joined a better team to play now. He will start right away opposite seasoned vet Jericho Cotchery. Stay tuned to training camp in Spartanburg to see what kind of chemistry the former Seminole can find with Newton. 2014: 57 Rec. 762 Yds. 7 TDs. Reliability. A word that is synonymous with Brian Hartline the last couple of years in Miami. Despite the growing number of targets in Brandon Gibson (%100?) and second round pick Jarvis Landry, Tannehill should be prompt with delivery to his most established receiver, who is playing for a contract renewal. He might not expect the same amount of targets with new faces in place, but he can provide a stable consistent force on an offense that faces one of the weakest secondary schedules in the NFL. The 6’4 jump-ball artist has gone from roster black sheep to bonafide starter with a new 5 year, $23 Million contract in the span of one season. Whether it be Jeremy Maclin’s ACL or his impeccable timing and skill in the red zone, Cooper is there to stay in Philly. Early results show a lot of non-believers under-drafting the former Florida Gator. A solid WR3 can be expected, with even more potential if Maclin is not 100%. 2014: 50 Rec. 841 Yds. 7 TDs. The ultimate gamer Boldin earned his franchise’s trust in 2013, turning 129 targets into 1179 yards and seven touchdowns. Nobody could have expected this, not even Michael Crabtree’s Achilles. Boldin’s speed might be on the decline, but his impeccable routes and dynamic cut ability put him in the top 15, fantasy-wise. With Crabtree back in the saddle, look for Boldin’s targets to drop significantly. Regardless of last year’s outrageous performance, make no doubts about Boldin on his descent into a back end WR3 or 4. 2014: 57 Rec. 810 Yds. 6 TDs. The epitome of a franchise wide receiver, the 6’5 230 lb. Evans joins Vincent Jackson as one of the biggest WR tandems in NFL history. His jump ball skills and ability to help out a quarterback in distress are second-to-none. Mike will find plenty of PT opportunities to work on his short routes and other refinements. Regardless of his age (21), make no doubts about the number seven draft pick’s grasp on controlling his side of the field and making the tough grabs. 2014: 64 Rec. 906 Yds. 7 TDs. A Top 20 season may be a distant memory for Jennings, but a fresh start with a new QB (Bridgewater starting the season?) and a Norv Turner offense cannot be a bad tipping point. Jennings still has a shadow of the skillset he had three years ago and will be relied on to be Cordarrelle Patterson’s mentor as he steps into the WR2 role. Nicks has regressed the last two years of his five year career with the Giants. Regardless of the nagging injuries he faced, there was something missing from the 6’3 wideout’s game. He is on a swift decline that Andrew Luck may or may not be able to stop for the remainder of his stay in Indy. Perhaps a complimentary role to TY Hilton and Reggie Wayne with no expectations will help stop the bleeding. 2014: 55 Rec. 803 Yds. 6 TDs. Hopkins pretty much met all expectations with a 52 reception, 802 yard 2013 campaign. Head coach and offensive coordinator Bill O’Brien’s main obstacle (besides worrying about Andre Johnson) will be to further Hopkins’ redzone talents with a spicier playbook around the goal line.Owners will be frothing at the mouth if Johnson leaves, leaving a path to WR1 wide open for the former Clemson Tiger. Regardless, DeAndre will continue to improve and find more targets in 2014. Mainly a special teamer in 2013, look for Austin to make his way to an ace inside-the-numbers wideout a la Wes Welker. Offensive coordinator Brian Schottenheimer will look to tighten up Austin’s routes and choose wisely when to deploy Tavon to maximize opportunities his blazing speed. 2014: 62 Rec. 812 Yds. 6 TDs. With a fairly impressive 2013 season, Williams softened the blow of Miles Austin’s descent. Whenever Tony Romo wants to air it out, Terrence will be the Cowboys’ best burner they since the nineties. The experience the third rounder built up in year one should set him up for plenty of targets in 2014. 2014: 63 Rec. 878 Yds. 7 TDs. A contract year with added youthful weapons to deflect coverage should find Shorts at the peak of his career. Look for him to sniff 1,000 yards if Henne is on-point or Bortles comes in and lights the world on fire. Not the first checkdown, regardless of the Quarterback, near the goal line. Six years in, Maclin might not be the 1,200 yard guy pundits painted him as in Philly. After a life threatening illness and a torn ACL, he remains positive and focused on being the main target for Nick Foles after the departure of DeSean Jackson. Depending on how much rookie Jordan Matthews cuts into his targets, a healthy ‘J-Mac’ could be in line for a top twenty fantasy season. 2014: 66 Rec. 849 Yds. 6 TDs. The Chiefs blew out their opponents in the first nine weeks of the 2013 season, jeopardizing Bowes production. Bowe will be ready to get Kansas City back to the playoffs as well as shed his reputation for terrible drops in ‘14. It doesn’t hurt his targets when Clark Hunt’s team had probably the quietest offseason in recent NFL history. 2014: 66 Rec. 853 Yds. 7 TDs. No Eric Decker? No problem. The Broncos reloaded the number two spot with the speedy Sanders, who is arguably more talented than the departed Decker. This is the proverbial lottery for Sanders, who will join the Peyton-Gase sling fest for another shot at a ring. A couple years removed from his foot issues, Emmanuel is completely healthy and will be looking to nail down his first (surprised as you are.) 100 yard game this season. Look for one-on-one coverage and plenty of opportunities for this WR3. Buffalo coach Doug Marrone will stop at nothing to get Watkins on the field. Slot? Outside? Doesn’t matter. Watkins will see plenty of playing time and targets from a more acclimated EJ Manuel. Watkins will not only stretch the field, but claim outrageous YAC. The 21 year old will be a WR3 to start off his career. A great WR schedule should benefit Buffalo’s passing game greatly. What will Reggie Wayne’s swan song look like after 2013’s ACL tear? The injury ended eleven years of not missing a game for him and undercut the passing game for the rest of the season. If there are no complications with Wayne’s status, he will again be one of Andrew Luck’s targets. RW is one of the most focused conditioners in the league, but even the best have a hard time being 36 and overcoming massive surgeries. Hilton benefited greatly from Reggie Wayne’s injury last year and has established himself as one of the NFL’s best up and coming receivers. One of Luck’s favorite targets, TY can play the slot or out wide, gobbling up targets. A healthy Wayne will spell less targets, but will deflect from Hilton’s best routes and make the young star even more effective than his 2013 campaign. Golden Tate has been known to disappear in statistical columns for games at a time. Welcome to Detroit, Goldy. You now have unquestionably the best receiver in the game lining up across from you and you will never see a lack of targets again in this pass happy offense. His solid hands, circumstance and a favorable schedule should see Tate into the WR2 discussion in 2014. 2014: 70 Rec. 932 Yds. 7 TDs. Being one of the greatest value picks of all time (Round 7), Colston is overlooked in early drafts and can be your very own value pick this year. Six of his eight NFL seasons have found the 1,000 yard mark and landed him the nickname “Mr. Dependable” by none other than Drew Brees. Colston may have never had the speed, but his routes and ability to seal defenders on the way to catches are second to few. Look for the Saints all-time leader in TDs to continue to be Brees’ most targeted receiver and sniff the century mark once again. Geno Smith and Mike Vick don’t precisely mean Decker is off the fantasy radar, just understand that expectations need to align with the ideology that his talent can and never be utilized quite like Peyton Manning. An unquestioned QB situation and an emergence at the number two wideout spot would be the best case scenario for the newly-signed, and ultra versatile Decker. Torrey Smith’s giant statistical leap in 2014 was mainly contributed by the Ravens’ flaccid run game and the injury to TE Dennis Pitta. When Joe Flacco exceeds his career high pass attempts by 72, an anomaly was at hand and Smith was there to reap the benefits (137 targets/65 catches/1128 Yds). Pitta’s return, Steve Smith’s signature and a renewed commitment to the run game in Baltimore will take some of the air out of Torrey’s value. His field stretching ability should keep him in plenty of targets, nonetheless. 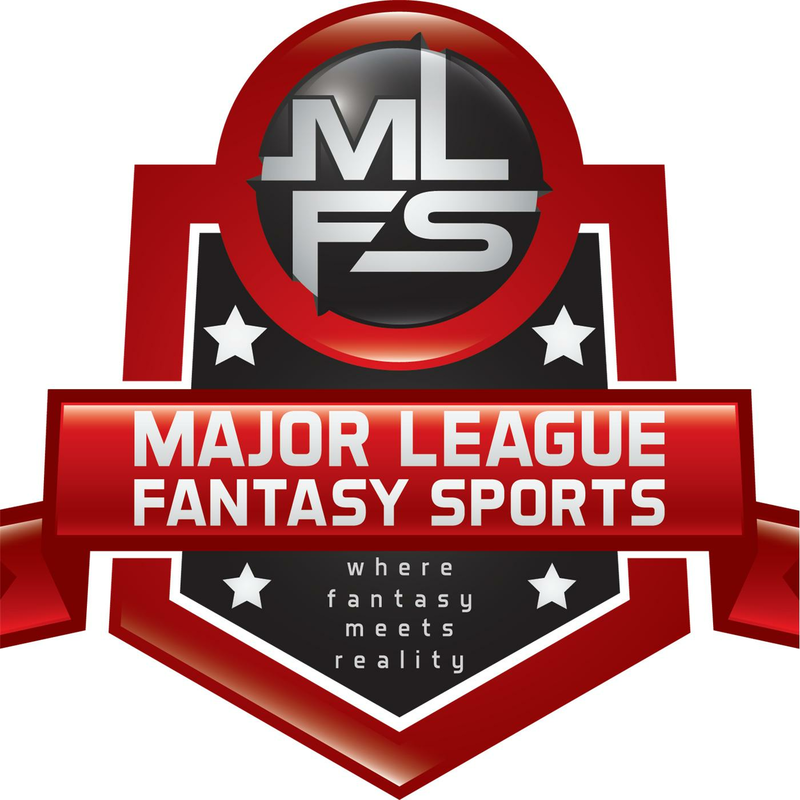 Major League Fantasy Baseball Radio: This Monday the 21st of July from 12:30pm-1:30pm EST we will have two guests; Phil Weiss and Joe Iannone. Phil is a Chief Financial Analyst, Made many TV & Radio appearances, has been playing fantasy baseball for 20+ years, and has also been coaching travel baseball teams ages 15-19 for 11 years. Our topics will be sabermetrics and common sense along with some player analysis with Joe. Use the link above or call in at (646) 915-8596. Remember to look for the podcast if you cant make it live on I-Tunes or Google Play stores. Search for Sports Palooza.